Collisions in the daily grind…Eight million people. Eight million coffee houses. And eight million stories. 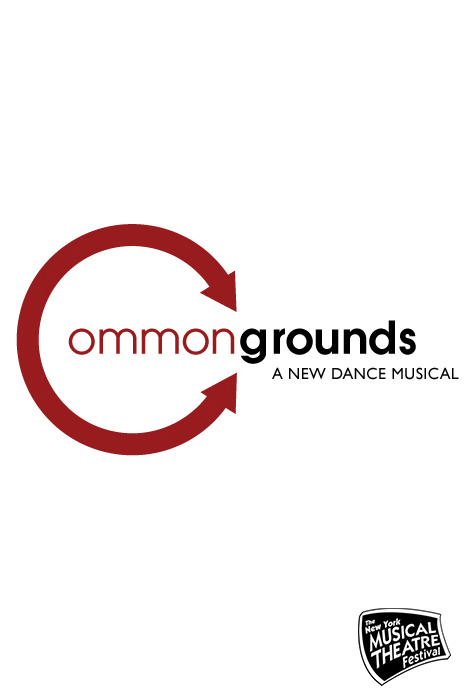 An innovative dance musical set in a midtown coffee house that explores how, in the most mundane of places, we can intersect with, ricochet off and greatly impact each others lives. One incorrect order in the morning sets off a ripple effect that has dire consequences hours later. This multimedia dance musical was commissioned by the New York Musical Theatre Festival. Kurt Froman and Mayumi Miguel, in Common Grounds at NYMF. Kevin Aubin and Kaitana Magno, with Jordan Spencer in the background, in Common Grounds at NYMF. Karla Puno Garcia and Kurt Froman, in Common Grounds at NYMF. Rhonda Kaufman and Stephen Williams, in Common Grounds at NYMF. I catch your glance even if you’re not aiming for me. I see you die when you see me. And you live when you leave me.